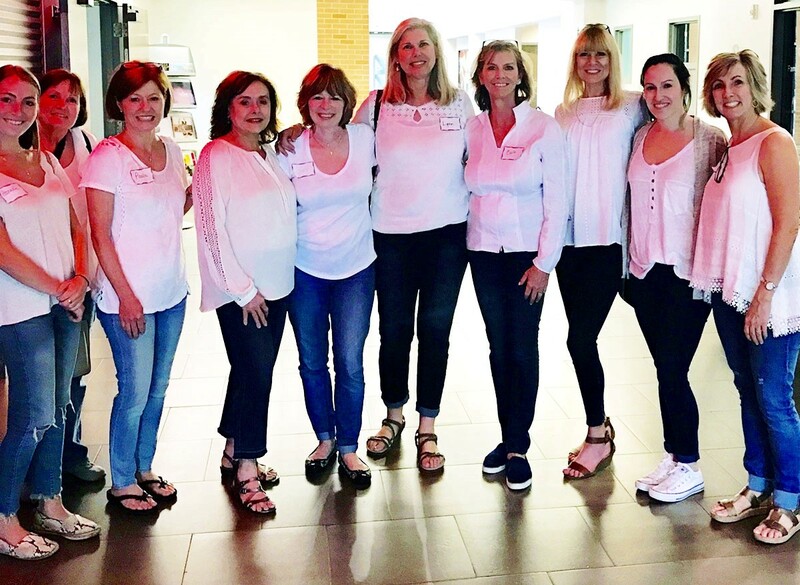 Pictured (from left) are Hannah Tosch, Rita Boyer, Paula Tosch, Janet Nosrat, Cindy Pujol, Lynn Helms, Carla Roberts, Allison Hyde, Nichole Nosrat, Tammy Smith volunteering at a past Say Yes to the Prom Dress event. Chapelwood United Methodist Church is accepting short or long dresses in all sizes plus shoes and accessories for its seventh annual “Say Yes to the Prom Dress” donation drive. In cooperation with Communities in Schools, students from Spring Branch area high schools will be invited to Chapelwood on Saturday, April 6 to select the prom dress and accessories of their dreams. Chapelwood’s Upper Room will be transformed into a shopping boutique with dressing rooms, personal shoppers, and refreshments. This year’s event chairs are Donna Jackson and Jennifer Pruett.